If you regularly dye your hair, chances are you'll need to use bleach at some stage. Hair bleach is almost indispensable when it comes to lightening dark hair, or even for lightening hair that has been dyed. Of course, not all hair bleach is made equally, and there are several distinctions between a generic brand and the top professional hair bleach products. If you want hair that lightens properly and doesn't end up unduly damaged, you don't need just any hair bleach. You need the best hair bleach, because your hair really is worth it. There are several different generic brands of bleach. The term 'generic' here is used to refer to cheap brands found in supermarkets, beauty supply stores, and pharmacies. These brands are never used in salons, nor are they designed by the leading professional brands that stock the best hair salons in the world. These products are simply produced for the home market. If you look at hair bleach, you'll notice that there are actually different bleaching agents used in different brands. There is a reason you pay less for Hi Lift bleach powder compared to Wella Multi Blonde, and that's because the ingredients in the powder are cheaper and inferior. Salon bleach powder contains top quality bleaching agents, nourishing conditioners, strong tone to counteract warmth during the lightening process, and a horde of other special ingredients that care for the hair and boost the lightening process. It sounds like marketing hype, but in practice, it is completely true. Salon bleach is the best hair bleach available and will lighten your hair more effectively, with less damage, and a more even result. What this translates to is that the difference between a generic bleach and a salon bleach product is the same as the difference between fried orange hair and glistening natural blonde.You don't have to bleach your hair anywhere near as long or as many times to lighten it, and it's significantly healthier as an added benefit. Of course, even salon bleach powder isn't equal, and there are a three products that really stand out from the crowd. Choose one of these hair bleach powders when you need to lighten your hair, and you really are using the best hair bleach available in the industry. Your hair will thank you for it. Wella's Blondor range is the holy grail of hair lightening. As one of the top salon brands in the hair industry and trusted by hairdressers all over the world, you can expect great results and dependable quality from all of their products. Wella Multi Blonde bleach is no exception here and when you want the best hair bleach possible, you won't be disappointed by the results you can achieve with this bleach. Wella Multi Blonde bleach is most notable for its high lift potential, highly effective 'anti-yellow' system, and quick lightening. Not only does Multi Blonde offer almost twice the possible lift of generic brands, but it does so in less time, and leaving less warmth. The anti-yellow system assists in toning hair after lightening, making it easier to achieve a cool blonde result, whilst the advanced lightening power allows you to reach blonde from darker hair in one step. It can also be used for dramatic highlights, where you need maximum lightening to create a distinct contrast. In this case, you can safely use a higher volume of developer to remove dark color and achieve a nice cool blonde result. This means that you no longer have to suffer with orange highlights in your dark hair, when what you really want is an authentic natural blonde. Development time: Up to 50 minutes maximum. On Scalp / off scalp: Safe for both. Developer: 20 vol on scalp, up to 40 vol off scalp. Mixing: Between 1:1 and 1:2. Multi Blonde is flexible and can be mixed with less developer for a thicker product without impacting lightening. The Igora brand is Schwarzkopf's flagship professional brand, and the Vario lightening line is designed with the same high quality as their Igora Royal hair dyes. Igora Vario tops the list of salon lighteners and is the best hair bleach to use if you want a dependable and superior salon product that is also highly affordable. Like Wella Multi Blonde, Igora Vario can effectively drab more of the yellow color that is revealed during bleaching, and as it is designed to achieve blonde hair, it is able to reach a blonde color from darker hair with relative ease and without having to apply it more than once. It also lightens your hair with far less damage compared to generic brands, and even the majority of salon brands. Choose Igora Vario if you want a cool blonde result, with less damage, and the comfort of knowing your hair isn't going to stall at the orange stage during blonding. Development time: Up to 45 minutes maximum. Developer: Up to 30 vol on or off scalp (Use caution when using 30 vol on scalp). Do not use 40 vol developer with this bleach. Mixing: 1:2 bleach powder to developer. Loreal Infinie Platine is a relatively new product on the market, but this is the absolute best hair bleach to use on highly resistant hair where effective lightening is more difficult to achieve. It is also probably the quickest hair bleach on the market, with the ability to lighten up to 20 percent faster than other bleach powders. Like Loreal's Platinum hair bleach, Infinie Platine features ingredients that serve to chelate and remove metals from the hair. These metals impregnate the hair whenever it is washed and can interfere with the lightening process, limiting results and increasing damage. By binding to these metals and preventing them from interacting with the bleach process, lightening is boosted, damage is reduced, and resistant hair lightens much more effectively. Because this bleach lightens so quickly, it is in contact with the hair for less time than other bleach powders. This also limits damage because the oxidation reaction that damages hair is ceased sooner. Choose Loreal Infinie Platine hair bleach when you need the best hair bleach for lightening resistant, darker hair to a platinum result, or when you need bright highlights. Developer: Up to 30 vol (Up to 40 vol on open highlights). Mixing: 1:3 bleach powder to developer. If you're trying to avoid ammonia, for whatever reason, Loreal Platinum Ammonia Free bleach deserves a special mention here. Ammonia is important in hair dye and bleach, but if your hair is sensitive to ammonia, or you're just trying to avoid ammonia for whatever reason, this is the best hair bleach for you. Just like Loreal's Infinie Platine and Platinum hair bleach powders, this hair bleach features ingredients that bind to and remove metals from the hair, giving you cleaner results. It also lifts extremely fast compared to other bleach powders, meaning that it doesn't have to be left on as long to achieve the same results. One caveat here with an ammonia free hair bleach is that this product, whilst generally more gentle on the hair, isn't the appropriate bleach to use on hair that is resistant to lightening. If you need to lighten your hair from dark brown to a shade of blonde and want to achieve this in a single process, you'd be better using Infinie Platine, or one of the other two bleach powders mentioned above. Resistant hair will not lighten as well with an ammonia free hair bleach. However, when used appropriately, on hair that is sensitive to lightening and ammonia, this bleach will dramatically minimize damage and help you keep your hair in top condition when you lighten it. Developer: 20 vol on scalp, up to 30 vol off scalp (Up to 40 vol on open highlights). Mixing: 1:3 bleach paste to developer. Having the best hair bleach is all well and good, but you need to know how to use bleach in order to lighten your hair with it, safely and effectively. As with any bleach, these salon bleach products will work best when applied to hair that is properly sectioned and prepared for the bleaching process. After bleaching your hair, your hair needs specialized care to restore moisture and relieve the dryness that hair bleach causes. This dryness is limited with one of these bleach powders, but the resulting dryness still needs to be addressed if you want your hair to feel soft and healthy. Bleached hair can also benefit from protein treatments. Protein treatments help restore the structural integrity of the hair after it has sustained damage. A good protein treatment can literally save even the most damaged hair, ensuring that you don't need to rush and cut it all off. Even when using a good hair bleach that doesn't cause as much damage, you should still follow up with a protein treatment to keep your hair as strong as possible. By taking care of your hair like this, your hair will look its best for longer and you will never run into problems like excessive breakage and weakness. Your hair will be stronger, blonder, and softer, as long as you look after it. Do you have a question about hair bleach? Wondering what the best hair bleach is for your color change, or just have a question about lightening hair in general? Leave a comment for tailored advice. How does Goldwell bleaching products measure up? Hey! Yeah so these are pretty cool bleach powders, do you have any references for processors? Just warning, "ammonia free" bleaches aren't as safe as companies are making us think. You still need a component like ammonia, which is an alkaline agent, for the lifting process to happen. Manufacturers are replacing ammonia with a chemical called MEA (monoethanolamine), which is an alkaline agent and fun fact, it has no smell. When doing research you find it is known to cause respiratory problems, lung and brain cancer, kidney and liver damage. I mean, our bodies naturally make ammonia and in large doses yes, it is bad for you, but if you know how to properly use it, it isn't as harmful. Here is an amazing man (Max Eli) that has helped me learn more about hair! I high recommend watching his class videos. blonde? Please help. I never back down on a taken bet. I am pretty allergic to hair dye but I heard of someone who also shares this allergy and she can only use bleach ? I have no way of finding out what ingredient it is I am allergic to but I was wondering if powdered bleach + liquid developer typically share any common ingredients with permanent hair colouring? You're knowledge/ help is greatly appreciated in advance! Thank you for really useful information about developers but I am trying to dye my medium brown roots to blonde and my hairdresser said I can't go above 9.1 which is fine as it looked amazing, but as a few weeks have gone by its turned to orange and brassy even after using silver shampoo and conditioner. I want to dye my own hair but don't know where to start, I will find the Wella developer but don't know about colour and toners ? I usually have a Ash toner on 9.1 dyed hair but don't understand the Wella toner 10/13 I think as doesn't say it's for toning just states permanent hair colour. Please could you help as desperately need to do my roots and colour but also don't know much about highlights in general only what I have watched. Where would I get any products from please ? I've been trying to get my hair a cool platinum blonde without success im sure my hairdresser is using a crap bleach as I've asked her so many times why when I've asked her to lift my blonde and my hair colour is very blonde but still has that golden colour does it come out a yellow blonde surely it should be lifting to a whiter colour even with a toner i go away with brassy highlights. Thank you for the tips, I bleached my hair from dark brown and now it's this lighter orange tone what brand should I get to achieve more yellow to platinum? Is clairol toner flaxen the same color as flaxen tint ? My hair is hard to lift a lot of orange after bleaching 3 times with Clairol 7th stage use to be the only strongest bleach. What bleach is stronger than clairol 7th stage ? I need product advice and schooling on how to get a pure white beard and hair for the Christmas season. Any advice would be greatly appreciated. Will the L'oreal Infinie Platine swell up when applied? have you used it for balayage? I need advise on bleaching my daughters hair. I've been using koleston perfect 12/1 & 12/89 with 12% and she is naturally a base of an 8. Occasionally she has had a few bleached hi litres through the top section just to get it lighter and brighter. She now wants to go platinum all over, however she does have very fine, quite fragile hair which Makes me reluctant to use bleach all over & on the scalp. 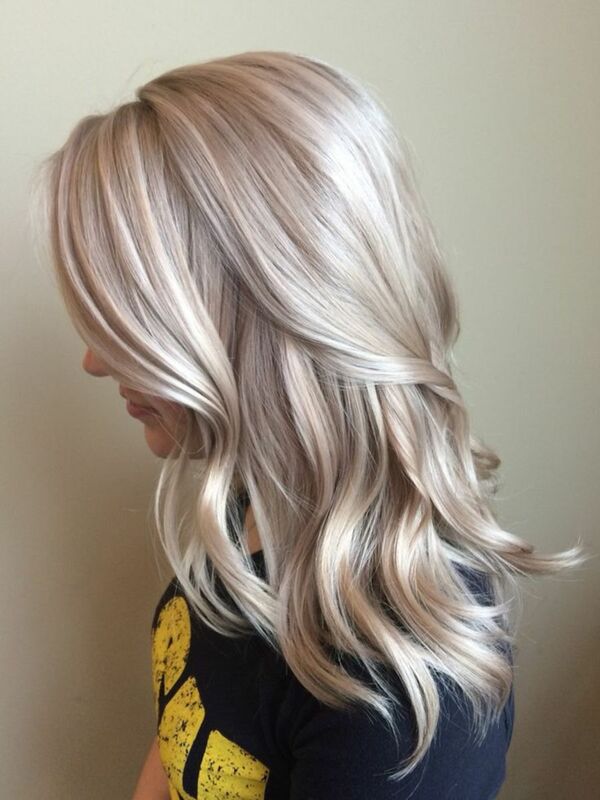 Could you please advise me on the best & safest way to achieve a platinum shade. I have been doing some research on the fibreplex product which sounds amazing as works & protects the bonds within the hair but is very expensive! Another tip that I have heard can help is to apply coconut oil and leaving it on the hair for a few hours prior to application of bleach. There are a few kinds of allergies / hypersensitivity reactions where the first exposure doesn't necessarily trigger the allergy response and this then comes in a later exposure. There's no way to really be certain whether this is the case though. At least, not without allergy testing for the different ingredients in bleach. Generally when allergies are suspected, or a product has never been used before, you can determine the presence of an allergy and choose not to use the product by applying a skin patch test first to gauge your reaction. You can generally find the directions for this test on most chemical treatments for hair, including dyes and bleach. Using this test, you may be able to determine whether it is the ammonia, or another ingredient within bleach that is causing your reaction, and then find a product that won't cause it. Of course, if the reactions you've had in the past have been severe, including symptoms like hives, throat swelling, or blistering skin, it is certainly best not to risk provoking one intentionally, unless under medical guidance because a severe reaction to bleach, and particularly to permanent hair dyes, can cause anaphylaxis, or very rarely it may even cause a serious skin condition (SJS/TEN). Definitely err on the side of caution and consider seeing an allergist to discuss the sudden reaction. That will help you determine exactly what is going on and the specific ingredient you need to avoid so that you can take care of your hair safely and comfortably. Hi there, I have had major allergic reactions to infinie platine but I didn't to ammonia free bleach. My hair is super resistant dark brown and I had bleached it for years and never had a reaction before, but suddenly I am super allergic. Is this something you've heard of before? I have got blue hair but obviously the roots are getting long and I look AWFUL. Any advice? For ease of use and good results, I'd recommend Igora Vario or Wella Multi Blonde, using 20 vol as the developer. Any of the bleach powders listed here are effective on dark hair though and can usually take it to blonde in one process. Of course, depending on how long your hair is, some of that dye pigment from a year ago may still be present in the ends and this may result in decreased or increased lightening where the previous dye was. 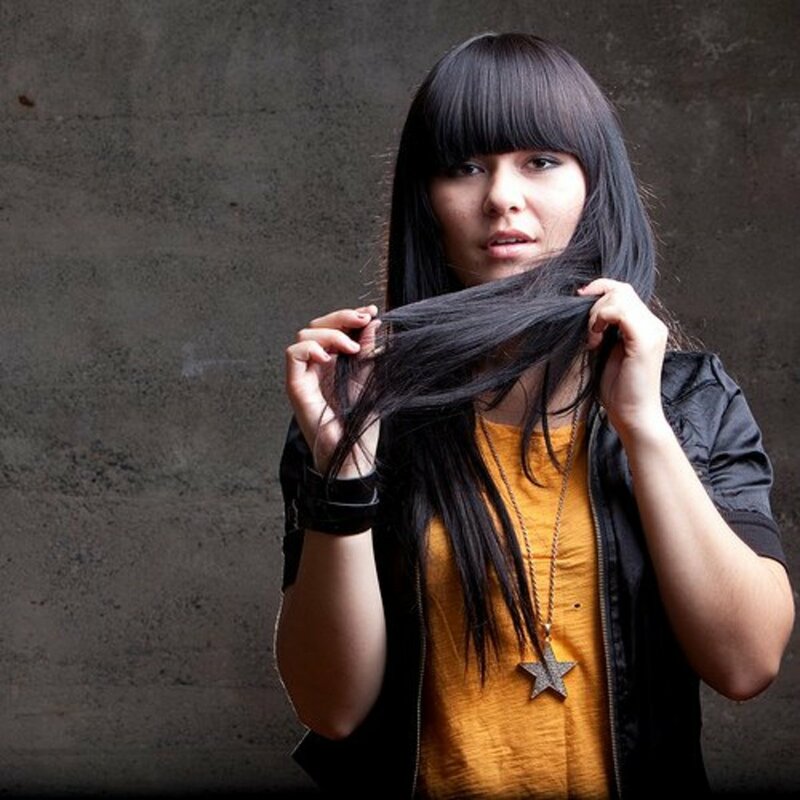 Dyed hair is often more porous and can lighten quicker for this reason, and this is related to irreversible damage that occurs to the cuticle layer which lines the surface of the hair shaft. However, the opposite effect is also possible where dyed hair will lighten less effectively because the artificial pigment is more durable during bleaching compared to natural pigment. Which kind of reaction you will see depends a lot on how dark the dye was and how many times it had been applied. 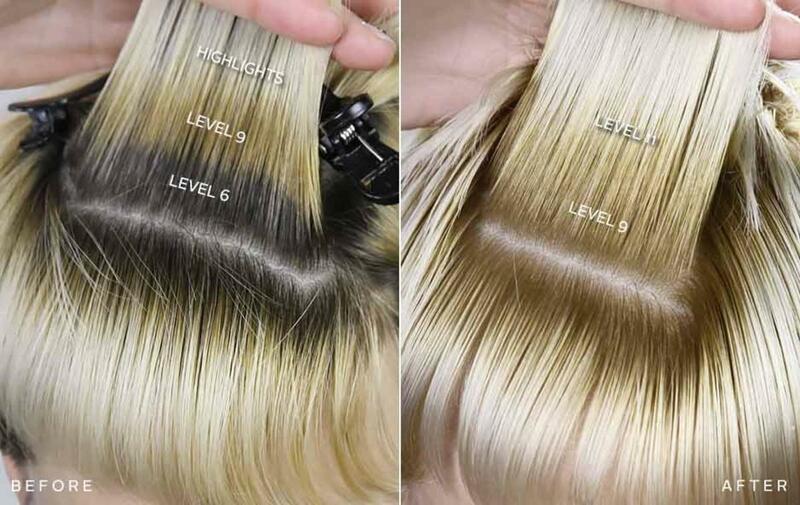 In any case, if you end up with tips that are a different level due to this, you can fix this fairly easily by selectively applying bleach to the darker areas to even it back out before you tone it blonde. Of course, feel free to ask questions if you're still unsure about any part of this. A few key pointers: apply as quickly as you can and ensure you cover every section adequately. Slow or sparse application can result in patchiness of areas that are darker where you applied the bleach last. Also, whilst you can use up to 30 vol developer on-scalp with the Igora Vario, I'd recommend only using 20 vol developer. The higher developer volume will increase scalp irritation a lot and should be avoided for a first-time process. Even after that once you know how your scalp reacts, 20 vol is still better for use with products like the Vario or Multi Blonde because these bleach powders contain lift boosters and other enhancing ingredients. Once you get it light enough, you can tone it to achieve a nice blonde, or apply bright colours like blue or purple straight away. With the colours, just be certain that they are dark enough to work on your hair, depending on how light you go with the blonde. 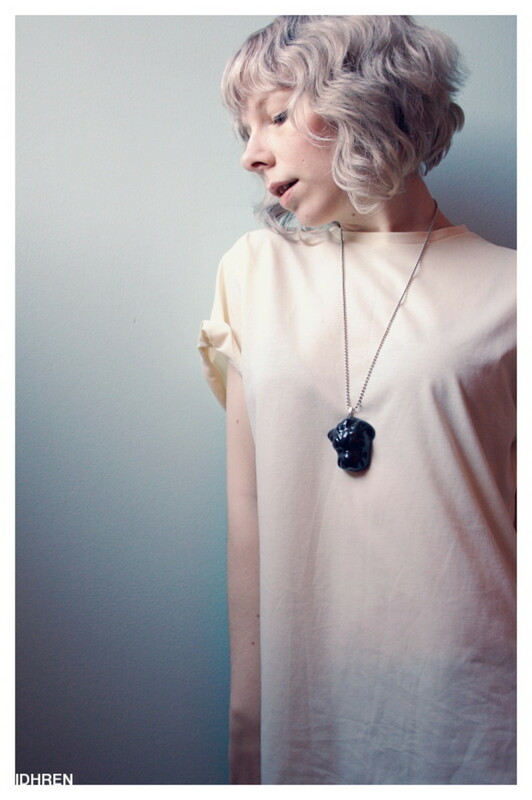 Eg, a lilac shade will only take properly on hair that is closer to platinum. On a darker blonde base, most of the violet pigment is exhausted because it is neutralised by the strong yellow tones that are present. It ends up working more as a toner. Colours like blue can look green if too light because the lesser amount of blue tone mixes with the yellow tones to produce green rather than a dominant blue. You probably get the point by now. Strand testing with a small section can be a good way to test the dye without applying it all over if you're unsure at any point. I have to ask a question ,if I go grey what bleach should I use? I wouldn't recommend risking it. 40 vol developer is generally never used on-scalp with any bleach because the resulting product is very irritating to the scalp and will also cause more damage to your hair compared to reaching the same amount of lift more slowly with a weaker developer. In combination with the lift boosters present in Igora Vario and other stronger professional brands, it's possible to actually blister your scalp or destroy your hair because the effect of whatever developer you use is greatly enhanced by the boosters. This is why most of these products recommend no higher than 20 vol on scalp. I have bought Igora Vario Blond extra power to bleach my roots as a hairstylist managed to get it too dark. However, I bought Igora Oil Developer of 40 vol and after reading your article, I'm a bit worried. What could happen to my hair/scalp if I use the 40 vol developer? Apologies for the late reply. When the allergy occurred, were you using the same bleach product you had always been using? If not, it may be the case that you're allergic to something in the different product used. In this situation, you may be fine to continue using the old product that you don't react to, but it'd be best if you consulted your doctor first just to be on the safe side. Anaphylaxis is a possible reaction during an allergy and if that happens you can suffocate during the reaction. Apart from that, it is possible to use a product and never experience a reaction, but then suddenly suffer an allergy to it, so even if you haven't used a new product, it's not impossible that you've ended up allergic to it. The immune system is constantly changing, so nothing is ever really set in stone here. As for keeping your hair blonde at this point, you'd need to work out the specific ingredient in the bleach that caused the allergy before you can safely try to find something that won't cause the same reaction. If you work through using elimination, you should be able to at least narrow it down. Take the peroxide and ammonia as an example; if you're allergic to either of these components, you'll experience the same allergies whenever you use a permanent dye. If you don't react to permanent dye, these components are less likely to be the culprits. It could be anything as seemingly-irrelevant as a dye or fragrance in the product, in which case moving to a different product is fine as long as it doesn't contain the same allergen. If its the peroxide though, you won't be able to continue bleaching or dyeing your hair anymore without a reaction because the peroxide is crucial to how the products work. So basically, if you can narrow it down, perhaps with the help of your doctor, this will help you work out what you're allergic to exactly, as well as whether changing products will help. Went back over your advice and see Blondor is probably the way to go. Are you a pro Maffew, because you certainly sound like one. Okay my question: is there a bleach out there that effectively takes out red/gold tones? Know about using toners, but really don't want so much of a project. Have heard that Wella Blond Me is excellent but have not tried it. As your hair is so dark and very long, are you really sure you want to do this? 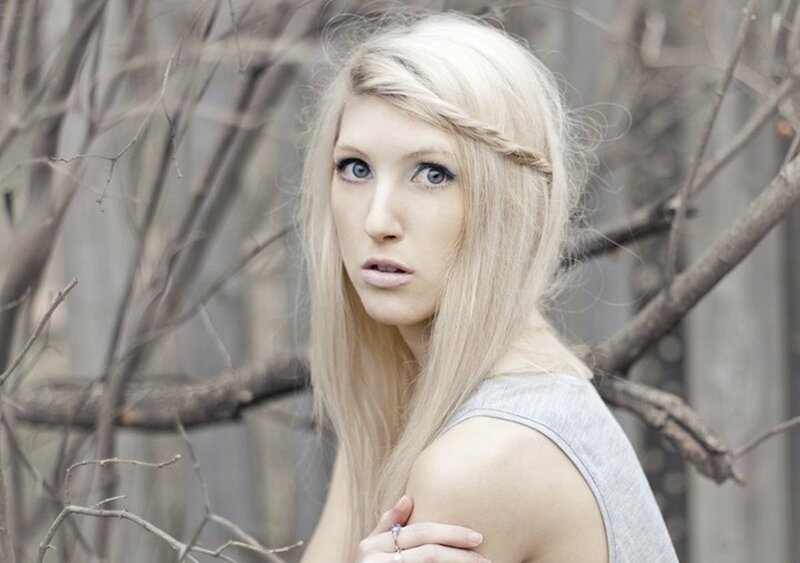 Pastel colours require you to bleach to a pale yellow and this can be very damaging. The fact that your hair is dyed dark also impacts the lightening and it will take more bleaching to get it as light as you could if your hair had never been dyed. There's also the chance of an uneven result whenever you lighten dyed hair; especially if it is long. In any case, I'd recommend Wella Multi Blonde or Igora Vario when you need powerful lightening. Just don't mix it with anything stronger than 20 vol developer, and take the lightening slow over a few weeks to months to avoid excessive damage. Or you could use a semi-permanent dye from a brand like Manic Panic or Directions. Hi! You have a great article here. I want to go with a pastel /rose gold style. My hair is dyed the darkest brown and I recently put some purple on and only my roots took. I want to bleach it but am not sure which would be the most effective bleach for my hair. It is so long! 28"
Also, what would be the best color to put on to achieve the rose gold look? Igora is an excellent brand and Amazon doesn't face the same issues as Ebay because they're much more careful about who can sell certain things and have a good approval process for weeding out counterfeit products. It's one of the reasons the company has grown so well over the years. For the best consistency, use the Igora bleach with Igora developer, but technically any developer brand is fine to use as it's all just peroxide solution in the end. Same-brand developer is better matched to be mixed with the brand's products, and more expensive brands generally add better conditioning agents and other nourishing ingredients to help keep the hair in better condition. Is there a good developer you would recommend ? Glad you like the articles. Is your darker hair natural or dyed? If it's natural, it will indeed look close to a yellow - gold colour when it reaches level 7. Dyed hair doesn't always react like this though as the artificial colour can continue to contribute red tones right down to a level 9 before it begins to finally look yellow. However, even if it is dyed, your ombre is really helpful here because you can judge the level against it to gauge how close it is to the ombre and rinse when it's one level darker. If your hair is natural and has never been dyed, you're also highly likely to get enough lift from one process, but you may not reach a light enough colour when bleaching dyed hair. This does also depend on bleach brand though. As for the toning, the colour you've chosen is fine, but Wella Koleston is better and you could use 8/1 in that line. Ash tones are designed slightly darker than level because they're used for toning. Toning doesn't 'remove' warmth, but rather, a particular colour is added, that in combination with the unwanted colour will cause it to look neutral because of the way light interacts with your hair. It's very similar to painting. This means that in order to neutralise a tone you don't want, you have to add more colour in. Don't use the same toner on your lighter ombre though. Wella's ash shades have a blue base and you'll get a result that is greyish blue if you use an ash that is too strong. Use Illumina 9/03 or Koleston 9/03 on the ends to eliminate some of that yellow and produce a beige result like in the picture. You also won't need to leave this in for as long as the darker hair as it will tone quicker. As for where to buy dye, choose beauty suppliers and wholesalers where possible; including online suppliers. Amazon is fine, but be wary of Ebay as there have been cases in the past where companies on Ebay have sold counterfeit Wella dye that is low quality and not the real brand. Killer Strands is also fine to purchase from.